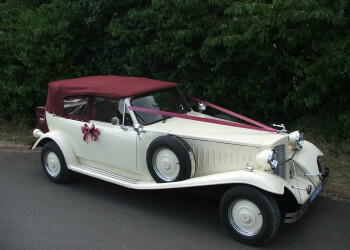 Graceful - Classic wedding car hire Oxfordshire, Warwickshire, Banbury, Stratford upon Avon, Leamington and Warwick. 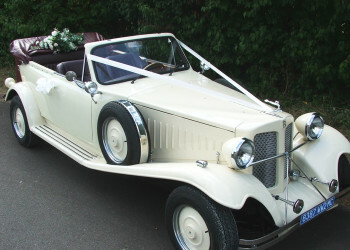 Welcome to Graceful Wedding Cars classic car hire located on the Oxfordshire/Warwickshire Border. Offering a local service for Banbury, Stratford upon Avon, Leamington and Warwick. We provide a friendly, professional and flexible service to ensure your wedding transportation is as memorable and special as your wedding day should be. 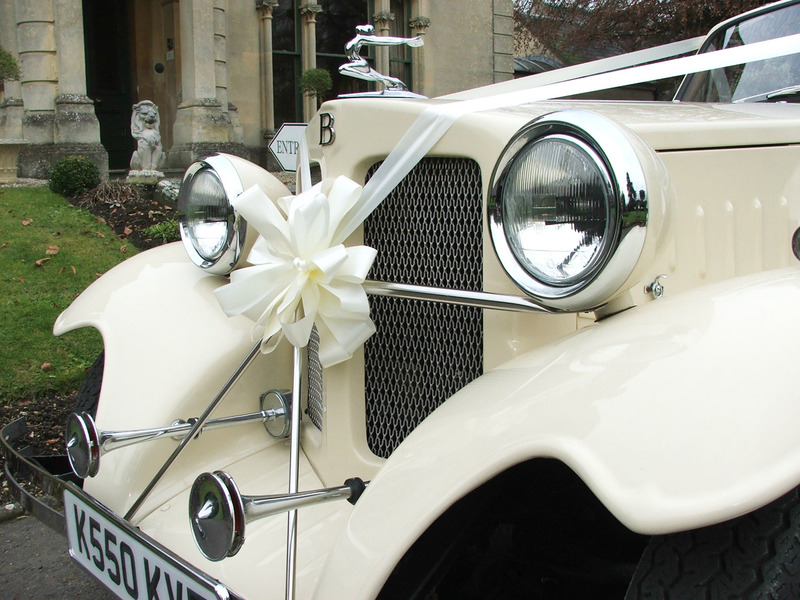 At Graceful Wedding Cars we know that only the best planning, attention to detail and reliable service must be provided to ensure your important wedding day transportation delivers the style and excellence you deserve. We only book one wedding per day, and can offer a reliable service, tailored to your needs at a competitive price. Our hire charges are very flexible and with only one booking per day, we can ensure absolute dedication and commitment to your day whatever you would like to include, making the day special to you. You can even just hire us for photographs at a one venue ceremony or any photograph location. Please feel free to call us for a friendly chat and ask any questions you may have. We will give you honest advice and a pressure free quotation if you require one. Alternatively you can complete our on-line form and receive a written quotation, which you may want to talk to us about at a later date. 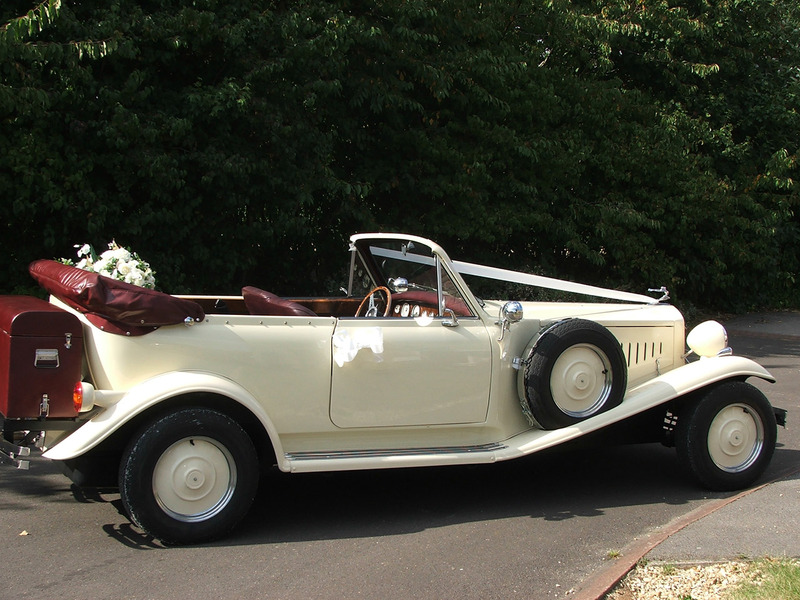 Graceful Wedding Cars is a small family run business, offering the hire of the 1930s styled Beauford open tourer. Our team will work with you from first enquiry to completion, offering help and advice to ensure that all of your requirements are planned for and included. All types of ceremonies can be catered for– Church Weddings, Civil Ceremonies, Registry Office, Civil Partnerships and you can also just hire us for photographs at any ceremony. 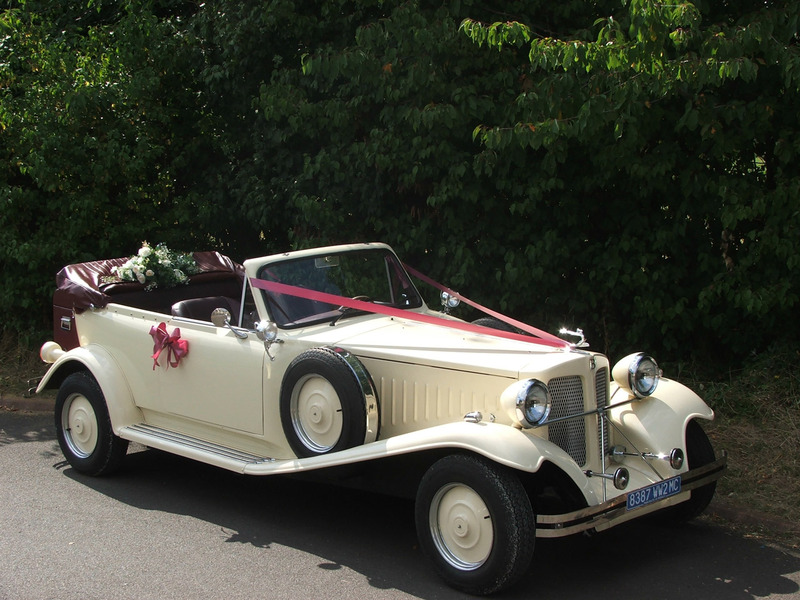 At Graceful Wedding Cars we pride ourselves on taking the time to listen to your wedding day plans, offer advice and guidance, and then reliably deliver those plans to exceed expectation. No detail is too small and we can help with ideas to make your day special to you. 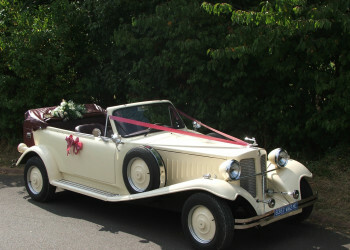 Only one booking per day is taken to ensure total dedication of our service for your day. Our chauffeurs are smartly attired and much more than just drivers. They are friendly, helpful, have a calming influence, and can cope with any change to plans on the day. They are dedicated to providing assistance for every aspect of personal service. They will not be working strictly to time, and can oblige if extra time is required for any reason. 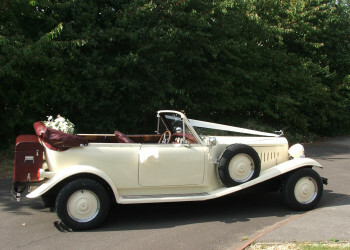 Viewing of the car is recommended and can be carried out at our premises, or a local place of your choice. We are fully insured for wedding hire and also have Public Liability insurance. 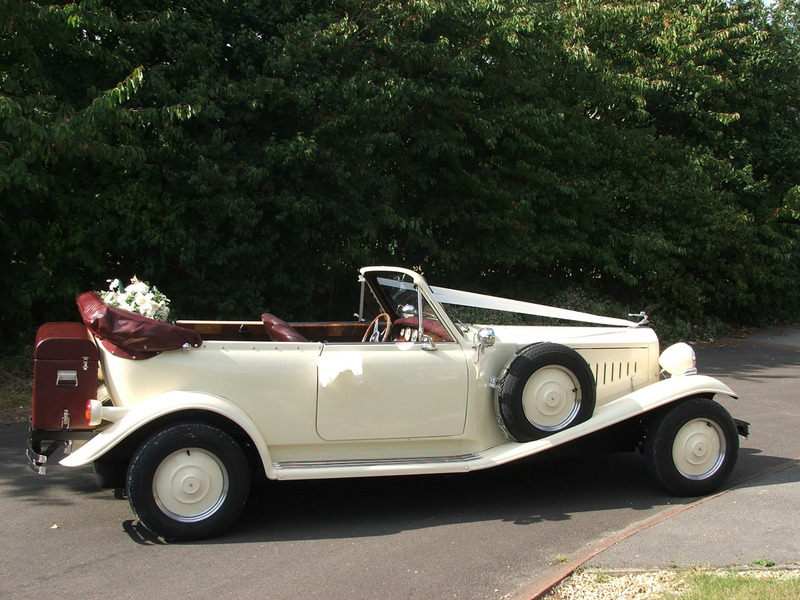 Our Beauford is a bit special; it was built by Banz Athos in East Anglia for a French wedding company in Monaco – South of France. This stunning car has spent most of its life in this sunny climate until coming back to this country in 2005 again, just for wedding hire. Because of the association with Monaco, we have called her Grace, after Princess Grace of Monaco. 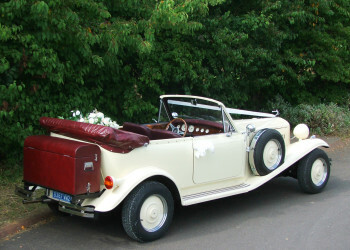 She is cream in colour with burgundy leather interior, and burgundy fold down roof. Our aim at Graceful Wedding cars is to give you the best possible service in a friendly and professional manner. 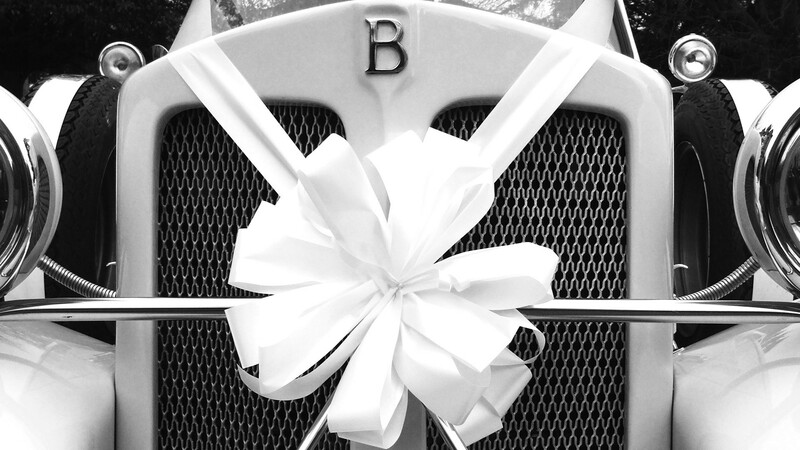 From first contact we will endeavour to exceed your expectations for attention to detail, planning, communication and delivering a special experience for your wedding day transport. 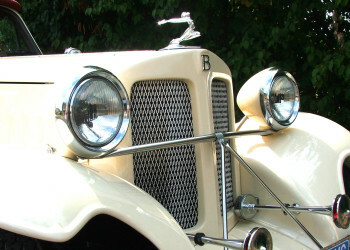 We take great pride in offering a classic car and chauffeur to a high standard. We will listen to your requirements/ideas and advise on how these can carried out in a cost effective way. Your complete satisfaction for all aspects of your hire is very important to us. We just wanted to say a huge thank you for the lovely service you gave us on our wedding day. 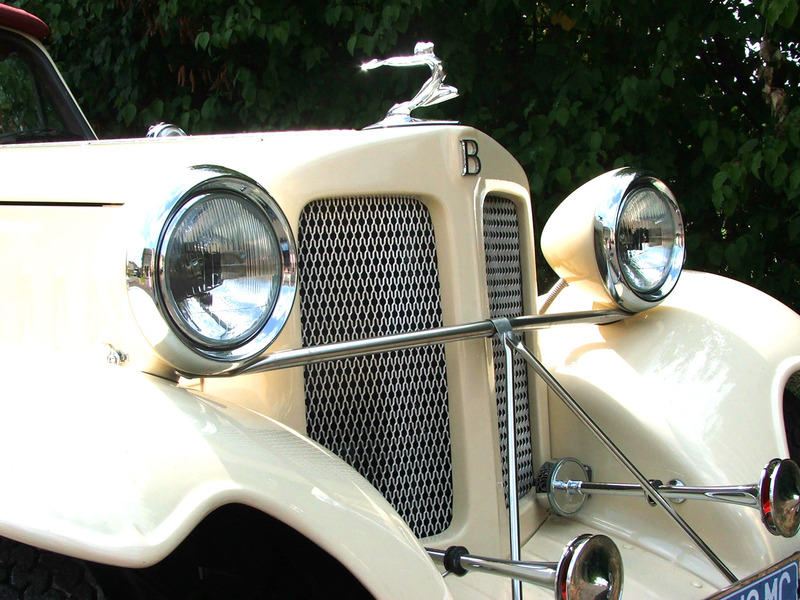 The 1930 style Beauford was the perfect car for us, and the attention it brought to us on the day will give lasting memories. The car was immaculate and the chauffeur was fantastic. He helped keep my nerves in check, and no request was too much trouble. We are now back from our honeymoon, a great end to our wedding, and would like to say the start of our wedding ceremony was also made special because of the Beauford, and the service you provided. Please give a big thank you to the driver for his friendly professional manner. Please thank everyone for a pleasurable experience from first contact until the end of the hire. I have already recommended you to some of my friends. Just a quick thank you for helping to make our big day special. The car, driver, and excellent service, gave the best possible start to the day. Thank you for providing an excellent service on the day of our wedding. Just as promised, everything went as planned, and photographs at an extra location was much appreciated. Even though time overran, we never felt pressured in any way. The friendly chauffeur combined with the lovely car made us feel special. Travelling with the hood down and the good luck shouts from people in the street was great. 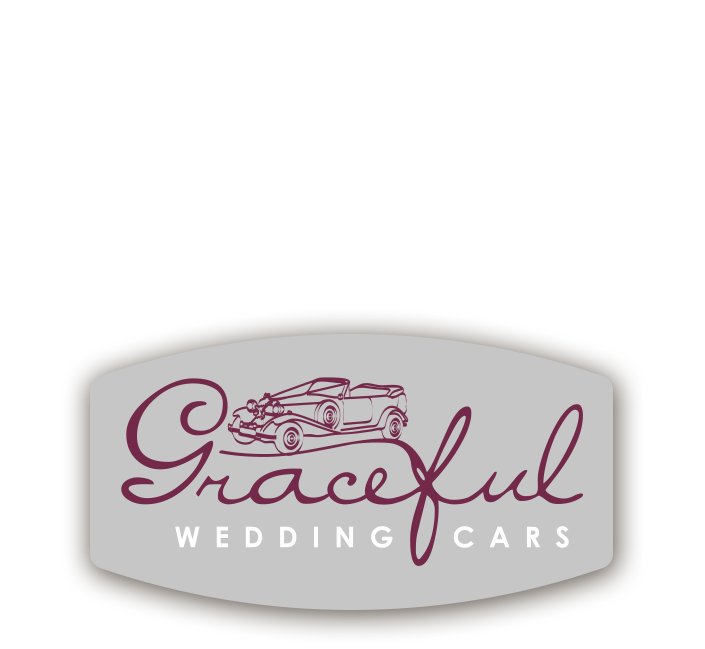 At Graceful Wedding Cars we do not have standard packages which rise in cost when individual requirements to make your day special are requested.We like to listen to your requests, advise, and then quote accordingly. We believe this gives a competitive quote based on your actual needs. Although each quote is individual to you, there is a benchmark summary that forms the basis of our hire charges. You may be surprised to find that any individual requirements to make your day special to you, actually costs no more than a standard package deal. In many cases it can cost less. Mileage is calculated from our base in Tysoe, the round trip for ceremony & return to base. 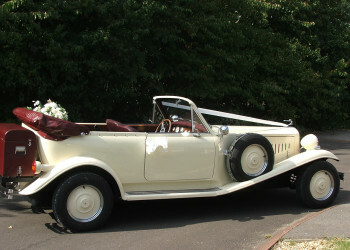 We do not recommend that the bridal car makes more than one trip per ceremony. If the trip to church is less than 3 miles this can be accommodated. 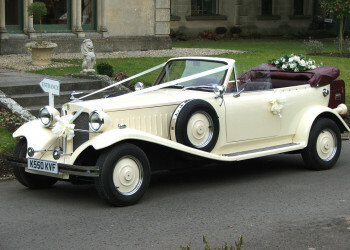 It is less stressful for the bride if a second car is hired for Mother of the bride, bridesmaids and pageboys. Our policy is to only hire the car for one ceremony per day. Because we do not hold a Liquor License it is illegal to include champagne as part of the hire charge; however provision is supplied with the car for you to enjoy a glass of champagne when supplied by yourself, even a table and chairs for photographs if required.